New fundraising numbers provide some clues as to how the NDP leadership race is unfolding, just days before the first ballot results are announced. Jagmeet Singh has raised the most money, but is a first ballot victory possible? 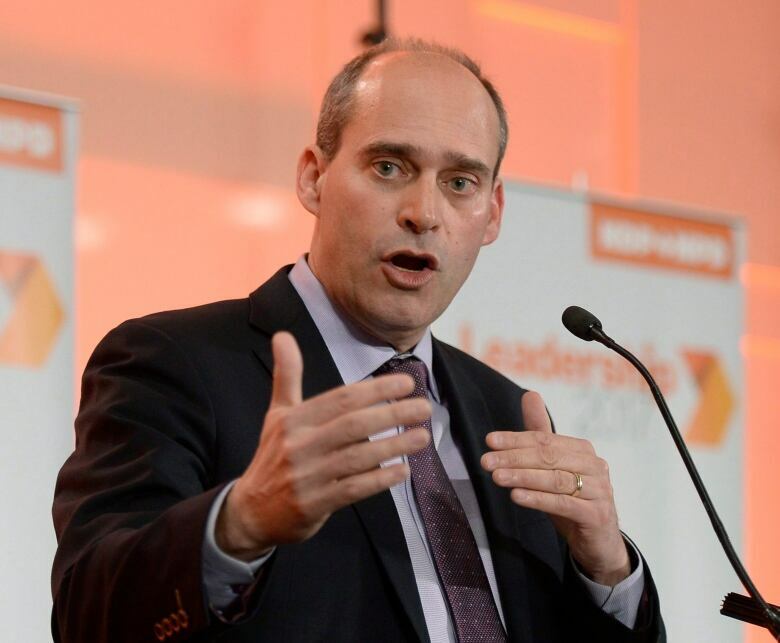 The results of the first round of voting for the NDP leadership race will be announced Sunday and the latest fundraising numbers provide some clues about what to expect. Elections Canada posted the interim campaign returns on Monday and Tuesday, showing where the four candidates stand in terms of fundraising up to a few weeks ago. 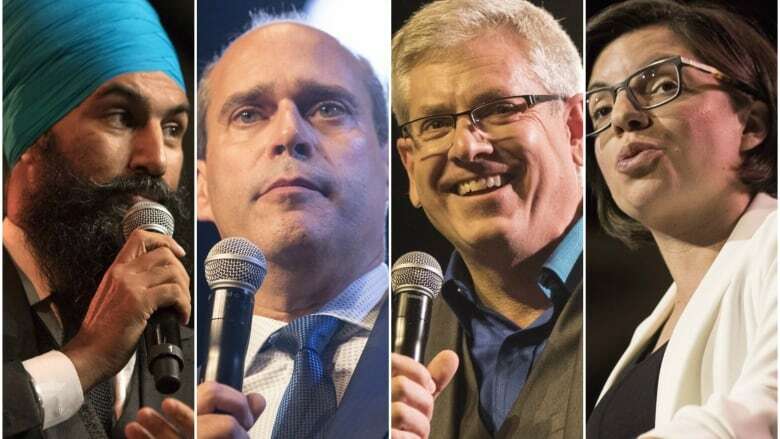 Ontario MPP Jagmeet Singh led the field with $619,000 raised since entering the race in May, followed by Ontario MP Charlie Angus at $374,000, Manitoba MP Niki Ashton at $251,000 and Quebec MP Guy Caron at $189,000. The total for Caron includes the $25,000 he donated to his own campaign, whereas Singh and Ashton each loaned their campaigns $25,000, which is not included in the total released by Elections Canada. With the exception of Angus's return, which includes donations up to Sept. 7, these numbers are up to date as of Sept. 14. Digging deeper into them reveals some of the contours of the campaign. Singh has raised the most money and can also claim the greatest number of unique contributors — about 5,500, compared to 3,500 for Angus, 3,200 for Ashton and 1,300 for Caron. But while these numbers suggest he has the potential for a strong first ballot result, an outright victory may be difficult. Singh has raised 44 per cent of every dollar donated to one of the candidates and 41 per cent of leadership donors gave money to his campaign. If fundraising provides any indication of potential support, Singh is below the 50 per cent of the vote needed to win on the first ballot. 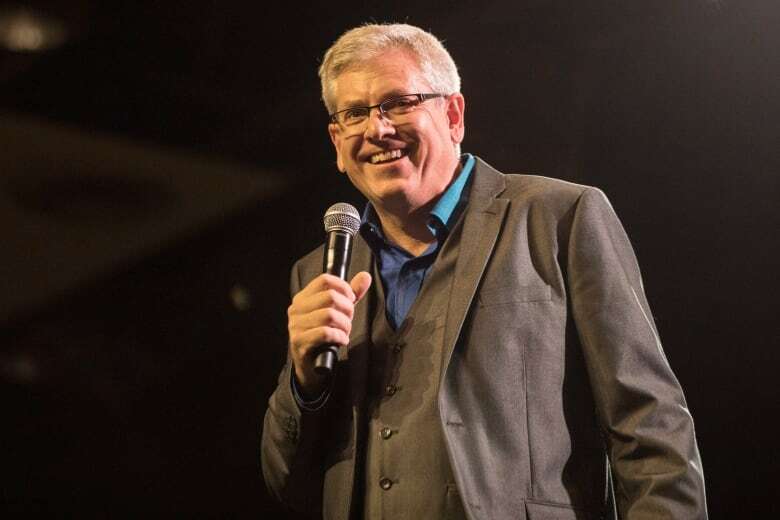 Working in his favour, however, is his strong performance in Ontario and B.C., two provinces that combine for 68 per cent of the NDP's membership. He raised $454,000 in Ontario and $95,000 in B.C. Altogether, that represents 49 per cent of the money raised by any candidate in these two crucial provinces. The figures suggest Singh wasn't able to maintain his fundraising dominance through the summer. Up to the end of June, when he had been in the race for just six weeks, he had raised $357,000, more than his three rivals combined. That impressive pace was a signal that Singh had the potential to blow away the competition. Over the next 10 weeks, however, Singh raised $262,000, less than half of all money raised by the leadership candidates over that period. But Singh has had a strong September relative to his opponents. In the first two weeks, he raised $56,000 while Caron raised $20,000 and Ashton raised $15,000. Angus raised $11,000 in the first week of September. Singh raised more money in the Greater Toronto Area, outside of the city itself, than Angus did throughout the province or Ashton and Caron did throughout the country. About 52 per cent of every dollar raised by Singh's campaign, or $322,000, came from the GTA, where he represents a seat in the Ontario legislature. His next closest competitor in the GTA was Angus, at $41,000. But despite holding a seat in northern Ontario, Angus raised the most money in Toronto. He took in $92,000 in the city, just edging out Singh's $90,000. Angus was also the top fundraiser in eastern Ontario, as well as in his native northern Ontario. He collected $56,000 in contributions there, representing 87 per cent of all the money raised in the region. Ashton did well in her home region, too. She raised the most money in Manitoba, as well as in Saskatchewan and Alberta. In all, she raised $63,000 in the three provinces. That put her well ahead of Angus's $34,000, Singh's $29,000 and Caron's $19,000. These three provinces account for 23 per cent of the NDP's membership, making them a potentially important voting bloc — though membership numbers could have been driven more by the provincial leadership contests in Saskatchewan and Manitoba than by the federal vote. Much has been made about the importance of Quebec to the NDP — not for winning the leadership as members from the province make up just four per cent of the national total, but for winning the next general election. The NDP's caucus has 16 MPs from Quebec, more than in any other province. Caron led the field with $40,000 raised in Quebec, but that put him just ahead of Singh's $33,000. Ashton was third with $15,000. The regional breakdown, however, shows Caron and Singh's support came from different parts of the province. Singh raised most of his money in the Montreal region ($26,000) while Caron raised the bulk of his outside the province's biggest city ($33,000). This does align with Caron's message to NDP members, that the party needs to appeal to Quebecers outside of Montreal to win seats. But Caron's advantage in Quebec was exaggerated by the greater amount the average donor in the province gave to him. In total number of contributors, Ashton, Caron and Singh were roughly tied. In the final debate of the campaign in Vancouver, both Ashton and Angus expressed concerns about Singh's potential appeal in every part of the country. "I know he raised a lot of money, and certainly a lot of that money was raised in Brampton," said Angus. "But how do we make sure that is going to affect Lac-Saint-Jean, how's that going to affect Moose Jaw?" Singh has indeed raised a lot of money in Brampton, Ont., where he holds a seat. Fully $179,000, or 29 per cent of all of his fundraising, came from Brampton. By comparison, the other candidates combined raised little more than $2,000 in the city. The implication, however, was not just geographic. There is a large Sikh community in Brampton, of which Singh is a member. Singh has certainly galvanized Sikhs to support his campaign — 1,200 of his contributions come from people named Singh or Kaur. Judging by donor names, at least a majority of Singh's backers appear to have been drawn from the Sikh community. But that doesn't mean Singh will struggle to reach voters in other parts of the country. At least, he shouldn't struggle any more than his rivals. Angus, the one who posed the question, had the same number of donors from Moose Jaw, Sask., and Quebec's Lac-Saint-Jean region as Singh did: three.